There's one thing I've learned being involved in the music business, in some form or another, for better than 35 years. If the mainstream press, such as Wall Street Journal, Boston Globe, NPR, or BBC, are gushing praise over a new artist or band and their album, their opinion is likely suspect. It should be taken with the proverbial grain of salt. When it comes to music and the arts in general, the mainstream press is essentially elitist and out of touch with ordinary everyday folk. 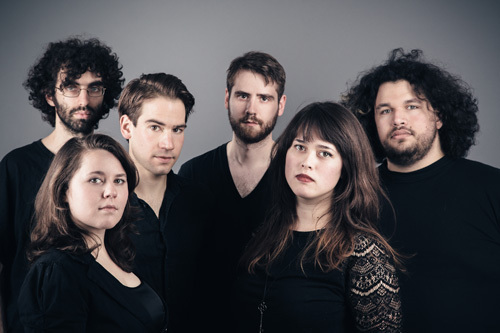 So when I read in the press release that Boston band Bent Knee was being lauded with mouthfuls of slobbering praise, by the same aforementioned outlets, my skepticism transmission went into fifth gear. And rightly so. Honestly, I don't know what all the fuss is about. 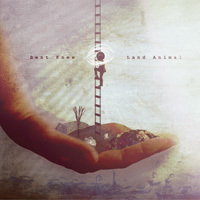 I really didn't enjoy Bent Knee's Land Animal, their fourth album. While listening I found myself cringing in dismay, with my muscles tightening in the shoulders and my jaw tightening with teeth upon teeth. Most of this came from listening to vocalist Courtney Swain, whose voice and vocals are all over the place in terms of style and presentation. Some description comes to mind. Warbling. Slurring. Screeching. Lilting. Lisping. Childish. This eclectic variation also made her heard to understand. In the end, Ms Swain reminded me of some strange twist of Chrissie Hynde and Janis Joplin. I know. That sounds weird. That last thought leads us easily to Bent Knee's music and sound. Call it what you wish: avant garde or art rock, or modern alternative progressive rock. Like Ms Swain's voice, the music of Land Animal is also all over the place. Intended to be experimental and provocative and so then interesting and entertaining, the songs and music seem to be more eclectic and disorganized. The arrangements sound like the many disjointed ideas of the individual players were thrown together like a musical pot luck dinner. Yet, on a positive note, the Bent Knee music, in a strange intuitive way, works to accentuate and carry Swain's voice. But I still tired of both. In the end, to get through the album I found the best thing to do was not to listen to the album. What I mean is that I let Land Animal play through without making any further attempt decipher what I was hearing. So Land Animal became background muzak, and I became largely disinterested. Gut wrenching honesty aside, here's the thing: music, like art, food, the love of kittens or puppies, is always a matter of personal taste. While I did not, you might enjoy Bent Knee. Check out the video below; it's one of the more interesting songs from the album. In the end, to get through the album I found the best thing to do was not to listen to the album. What I mean by that is that I let Land Animal play through without making any further attempt decipher what I was hearing. So Land Animal became background muzak, and I became largely disinterested.